Apple allows you to back up your devices such as the iPhone, iPad, and iPod touch to iCloud. It’s great news if you make backups regularly when you have lost or accidentally deleted some important data. However, it is not so easy to access the files within the iCloud backup. That's the trouble for most iCloud users. 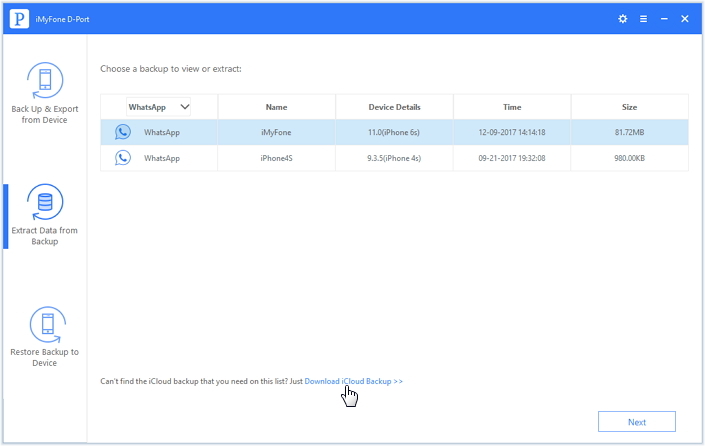 If you are wondering whether you have the opportunity to get backup from iCloud, then you are at the right place. 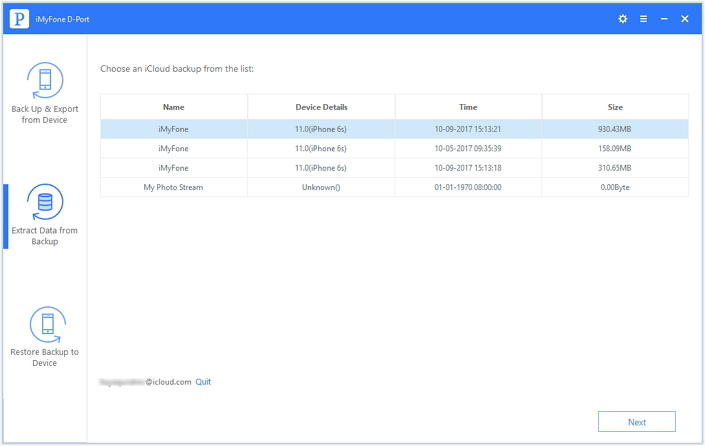 We will introduce 3 different ways for you to get data from iCloud backup. It can exports up to 20 different types of data. You can extract data not only from your iCloud backup, but also from your iOS device and iTunes backup. You can also use this tool to backup your device completely or partially. The new feature "Restore Backup to Device" allows you to selectively restore your device and you can expect this function in the pro version. It works perfectly with all iOS devices including iPhone 8/iPhone X and all iOS versions (iOS 11 supported). Step1: Start the program after you complete the installation. Select "Extract Data from Backup" tab and click the "Download iCloud Backup" button. Step 2: Login to your iCloud account. Please be assured that iMyFone will not record your personal information. iMyFone D-Port will search for available backup files. Select a backup file and click "Next". After that, you need choose the data type(s) that you want to get from iCloud. Click "Next" to proceed. Step 3: You will see the selected data types once the downloading is complete. Preview the files, select what you need, and press “Extract” button. Step 4: A small pop-up will ask you to select a folder or create one to store the data, and you need wait the program to complete the process. Browse the folder after completion to check for the extracted files. 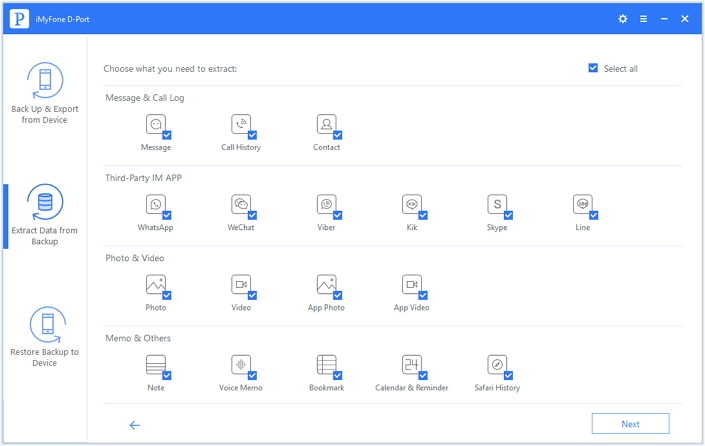 Try iMyFone D-Port iCloud Backup Extractor now! You have the opportunity to generate a copy of the backup that you hold in your iCloud account. 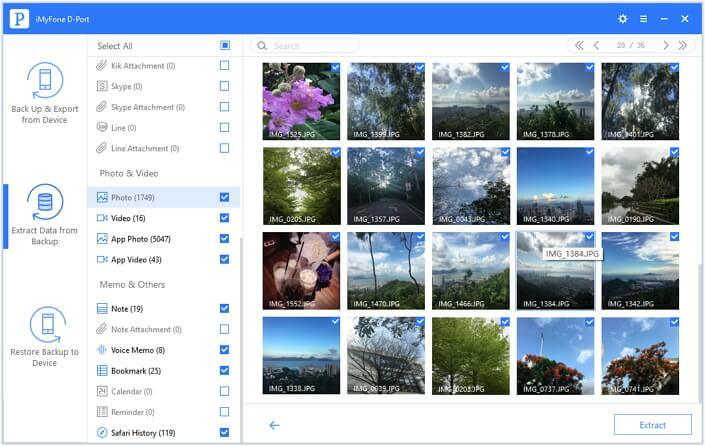 It means that you can create a copy of emails, photos, videos, contacts, and some other files that you have uploaded to the cloud service. Here is an example of contacts. 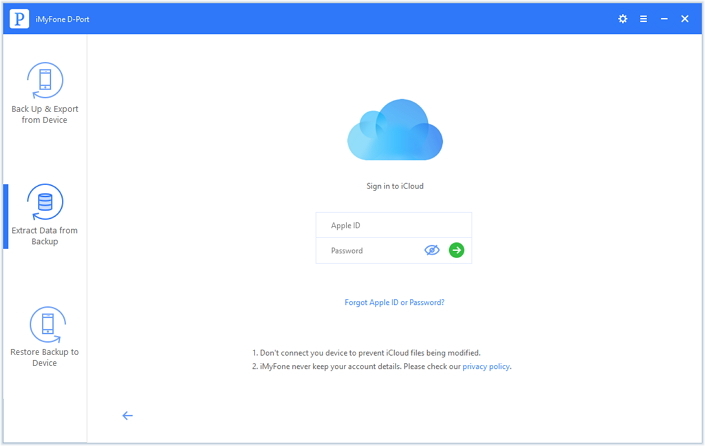 Step 1: Sign into iCloud.com on a PC or Mac. Step 2: Look for the "Contacts" and select the file. Step 3: Press the setting symbol and choose "Export vCard…" from the action menu. You will find the file saved in the computer’s default download location. More details: make copies of your iCloud data. You can further restore a backup from iCloud using restore and reset options. Tap Settings > General > Software Update. If you see an update, download and install the same. Make sure that you have a backup with the files you need. For iOS 9 and iOS 8: Settings > iCloud > Storage > Manage Storage. Open the recent backup file. For iOS 7: Settings > iCloud > Storage & Backup > Manage Storage. Open the last backup file. Go to Settings > General > Reset. Choose "Erase all content and settings". Tap "Restore from iCloud Backup" from app and data window, and then sign into iCloud account. Select "Choose backup", and pick the backup file that you want from the list. Wait for the process to complete.